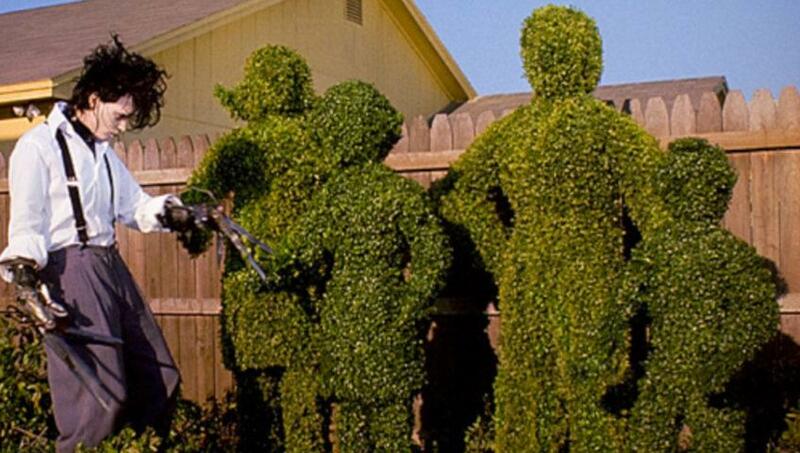 Not all of us can be as creative with shrubs as Edward Scissorhands, so if you think your shrubs need to be trimmed, call TCLS on 337-313-3002 for lawn maintenance services including shrub trimming. Turn your ordinary garden to extraordinary with a touch of the shears. There are many reasons why you should trim shrubs. Pruning makes your garden look healthy, organized and well planned. Besides, the main reason why you have a garden in the first place is to increase the aesthetic appeal of your lawn. Regardless of how good a pruned garden looks, this is a hard task and many people avoid it. That is why you need to hire a lawn care company for regular trimming services and your lawn will stand out. When you get in touch with us, we will send a professional team to do a lawn health analysis. This analysis includes identifying the types of plants on the lawn and the kind of care that each type needs. Shrubs in southwest Louisiana are varied, and each type requires a different kind of care. This is why we always propose that your shrub trimming should only be done by professional lawn care services. At TCLS, we offer trimming services as a standalone service or as part of the bigger, regular grass cutting services package. Biologically, plants are engineered to grow upwards in a process referred to as apical dominance. However, when you let your plants grow upwards only, they will not have the leafage that you desire and your lawn will look sparsely populated. Because the hormone that enhances upward growth is contained in the terminal bud at the end of every stem, to encourage the plant to grow sideways, these buds need to be pruned. When pruning is done by a professional, it enhances the sideway spread of the plants. Landscaping companies use pruning as one way to control just how high a plant can grow. If you have in mind the height that you would like a hedge to grow to or need to adhere to regulations set by your homeowners association (HOA), you will have to prune the plants. However, you want to do the trimming just right so that you do not stunt its growth. If you trim it the correctly, it will grow back, and that is why trimming is a regular job. Some plants can grow quite large and that is why they need to checked. If you want to maintain a small landscape, trim your shrubs regularly. Multi-stemmed shrubs can age with time, reaching a point where they do not grow anymore. However, if you need new leafage on the shrubs, you will have to prune the shrubs so that sunlight can get to the plant from all directions. You can even cut the shrubs to stubs in spring so that they can sprout new branches and new leafage. When you have tall shrubs they may overshadow the smaller plants thus preventing sunlight from getting to the smaller plants and as a result, the plants experience stunted growth. Trimming the tall shrubs would allow the sunlight to get to the smaller plants, thus helping all life in your garden to flourish. Keep your eyes peeled for plant diseases in southwest Louisiana. If you do not know the indications of plant diseases, you will not be able to prevent their spread. However, when you engage professional lawn maintenance services, they will be able to find the diseased branches and trim them. Some branches may also die because of weather or age. Deadwood on your shrubs makes an unsavory sight but you can correct that by trimming. At TCLS, we will do a full assessment of your shrubs to see which varieties need regular trimming and maintenance. Our professional team that we send to your home will provide the care that your plants need. Trimmed shrubs look balanced, giving your lawn that appealing effect throughout the year. One of the ways that you can give your lawn foliage fresh color is by trimming the old leaves so that new leafage can grow. If you notice that your plants have different foliage, maybe they need to be trimmed to allow new leaves to pop out. You will see an enhancement of color in your garden. You can also help your plants re-bloom by trimming them. For example, plants can be trimmed in spring to enhance their summer bloom. Landscaping for curb appeal is very sensitive because you have to get the symmetry, the size and the color right. If you mess up on any of those aspects, you could end up annihilating all the appeal. With geometric accuracy, the Tender Care Lawn Service team can turn any commercial or residential yard into a marvel of green beauty. Aesthetic appeal is not the only reason why you want nicely trimmed shrubs. When you maintain your shrubs at a given height, you can get privacy, but also be able to see your pets, your car and most of your house from any part of the garden. With better visibility, you will feel assured of safety. Trimming is something that is best left to lawn maintenance services because of the precision needed for the task. Being a big feature, if the shrub trimming is not done right, it will have a negative effect on the entire lawn. If it is done correctly, the effect can be outstanding and really lift up the entire garden space.